The Seaeye Falcon used by the Washington Department of Fish and Wildlife. Photo courtesy WDFW. ROV's come in a wide range of sizes and shapes and are sometimes custom built to suit a particular project. Beyond their value as a research tool, they have been used for bridge inspections, inspections of offshore oil rigs, and retrieving materials that fall to the ocean floor. In Puget Sound, the King County Environmental Services Unit purchased a small ROV in 2010, and an ROV was used to determine where the outfall pipe at the Brightwater Treatment Facility should be placed. ROVs are considered useful in areas where diving is too risky, or as a less expensive alternative to a submersible. Trawl surveys, a commonly used method for assessing populations of bottomfish, don’t work well in the rocky habitats preferred by certain species, including some types of rockfish with endangered Puget Sound populations. A team led by Robert Pacunski, a biologist with the Washington Department of Fish and Wildlife, has used a small ROV in the San Juan Islands to collect data on rockfish and other species that prefer this type of habitat. In April 2013 the team completed a yearlong survey consisting of 197 one-hour transects in Puget Sound, covering the entire area south of the US-Canada border and east of the Sekiu River. Pacunski says they have completed close to 400 transects in the San Juans. Whatcom County also uses a small ROV, and in 2011 released a technical report comparing the ROV with diver surveys. ROVs are limited by sensitivity to light, and some fish species flee too quickly for accurate identification. Researchers also aren’t able to measure fish size or weight as they would with trawl surveys. A specialized stereo camera can help, but they are expensive and don’t fit on the Seaeye Falcon that WDFW is currently using. The Washington State budget adopted in July gave $3.5 million to WDFW and the Northwest Straits Foundation (NWSF) to complete removal of derelict fishing nets in shallow areas of Puget Sound. Dayv Lowry, a scientist with WDFW who supervises much of the ROV work in the Sound, explains that researchers will report nets they see during routine work to the NWSF, which then takes care of removal. They occasionally have gone to sites where nets were reported missing and used the ROV to search, but without very specific location data that can be a frustrating process. This partnership has led to successful removal of almost 4,500 nets from shallow water, but experts estimate there are many still in deeper areas (over 120 feet), where diver safety is a concern. Natural Resources Consultants, a company that works closely with the NWSF, recently compared multiple methods of removing deep nets and concluded that ROVs are the most promising protocol. While they are too expensive to justify use in shallow areas, Lowry says, the reduced risk and effectiveness outweighs the cost in deeper water. The NWSF is currently seeking funding for a pilot project using ROVs. Seagliders are Autonomous Underwater Vehicles (AUVs), distinct from ROVs because of their lack of tether. They run on a computer program, following a path laid out for them and “phoning home” when they reach the surface to acquire new directions. The Seaglider Fabrication Center at the University of Washington, an innovator in glider technology, announced a license agreement in May with Kongsberg Underwater Technology, which will further develop and market the gliders to customers outside the University (the lab remains the source of gliders for all UW customers). 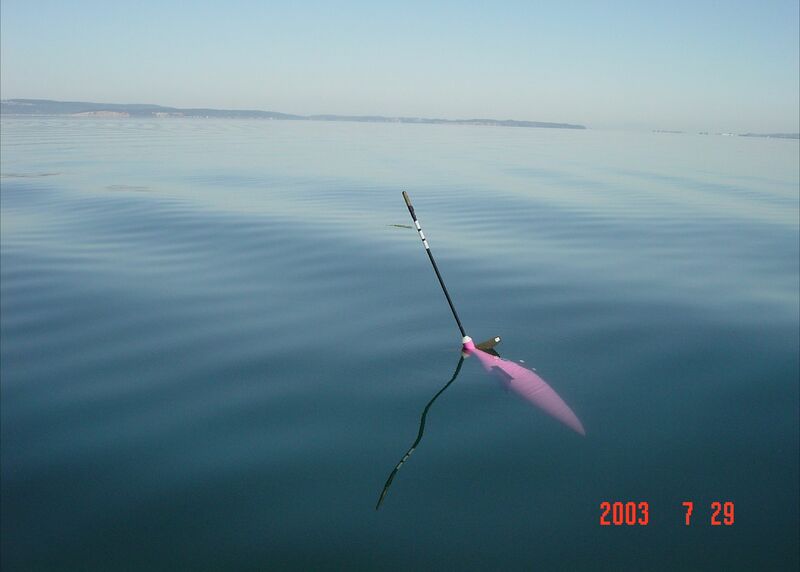 Gliders are tested in Puget Sound, but have not been used for many research projects in the area. However, in 1999 and 2000, work with gliders led to a paper which included glider data from Possession Sound. Three gliders were deployed to monitor ocean conditions after the Deepwater Horizon oil spill, and Dr. Fritz Stahr, head of the fabrication lab, was invited to testify to a U.S. Senate subcommittee in 2010 on the potential of the gliders for improved response to spills. Algae blooms in the summer are a threat to human health, causing risks to swimmers and people eating shellfish from affected areas. It may take scientists several days to determine whether a particular bloom is toxic. Kevin Yamahara, of Stanford University, developed a water-sampling ROV called the Environmental Sample Processor, which can collect samples and analyze them on the go. 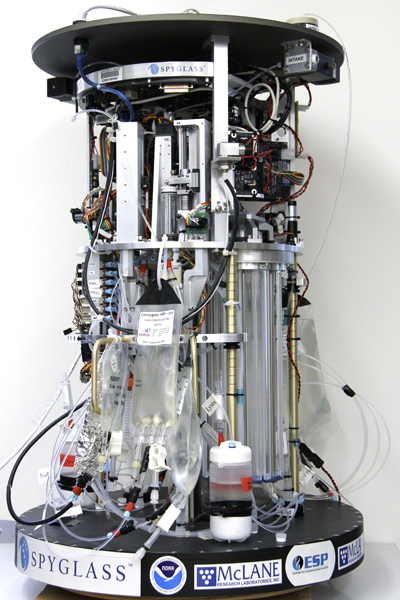 The robot has automated instruments that extract and process DNA and RNA from algae, identifying the species and providing an estimate of how much is contained in a particular bloom. It allows early identification that can prevent costly recalls of seafood by simply restricting fishing in certain locations until danger has passed. The project was co-led by the NOAA Northwest Fisheries Science Center, which has been using ROVs to test for potential toxic algae blooms near shellfish beds in Lummi and Samish Bays in Puget Sound.